“Following the Mobeus-backed buyout in 2016, we were keen to optimise the flexibility in our debt facilities in order to better manage the new capital structure and maximise our liquidity. 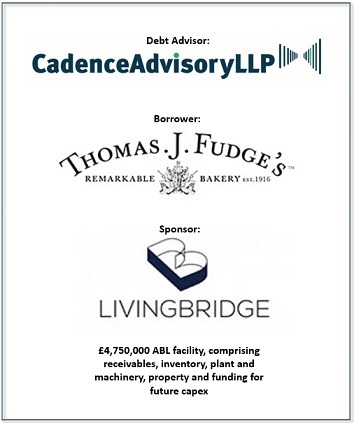 Cadence produced a detailed review of the business, including detailed analysis of the receivables, and demonstrated a thorough understanding of the UK ABL market to deliver a well-structured and cost effective secured-debt solution. 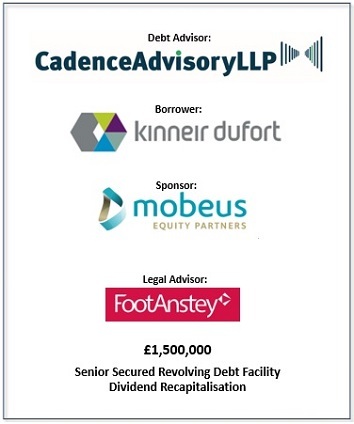 “Cadence provided Mobeus with strategic debt advice throughout the acquisition of the Arc Group, and we subsequently engaged them to oversee the refinance of the Group. 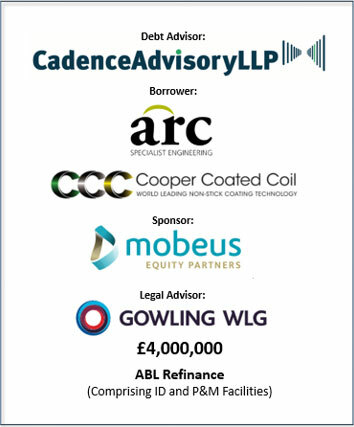 Working in partnership with management and Mobeus, Cadence devised a detailed debt structure which fully meets the requirements of the Group, as well as enabling us to service our loan notes. “Cadence were proactive and very effective in managing the practicalities of obtaining and comparing a range of competing offers. They offered insight and expertise in assessing the commercial considerations and business priorities in selecting the funding. 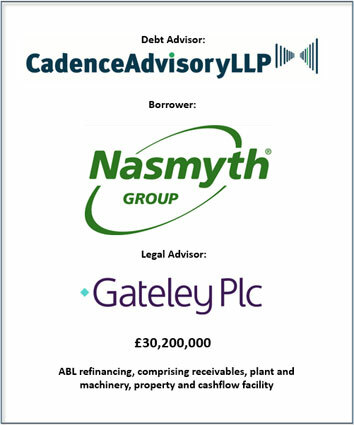 “The team at Cadence were instrumental in structuring and obtaining a secured ABL funding package for the Nasmyth Group in order to support its growth and investment strategy both domestically and internationally. “In order to meet the future growth aspirations of the Group, both in the UK and overseas, we took the decision to refinance our previous ABL facilities with a more flexible business partner. “The management team were unfamiliar with ABL, so we were wholly reliant on Cadence to guide us through the refinancing. Early in the process, Cadence identified and highlighted the complexities in the debtor book, devised a funding and covenant structure and sourced a number of underwritten offers from prospective lenders. Cadence fine tuned these offers and were able to obtain the most flexible structure at the lowest cost. “Mobeus supported the MBO of Kinneir Dufort in September 2016 with a single combined debt and equity funding solution. More recently, we engaged Cadence to source a cost-effective ABL facility which would allow for the restructure of the balance sheet and enable us to optimise the servicing of the Mobeus notes. Cadence negotiated with a number of lenders to maximise liquidity whilst minimising cost and covenant impact.